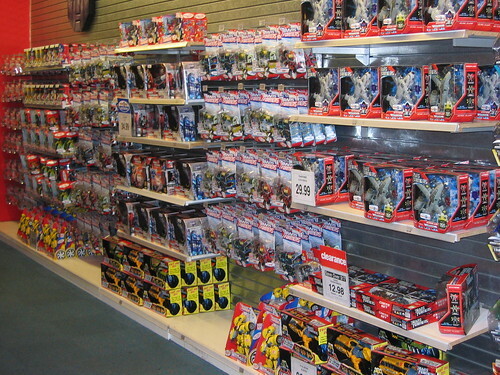 today i went to the nearest Target (in Brooklyn) and they had no Transformers at all! Not even empty space where they should have been! What's worse I then went to the TRU a few blocks away... And the whole store had been demolished! Talk about a strike out! But i've been to Brooklyn now. 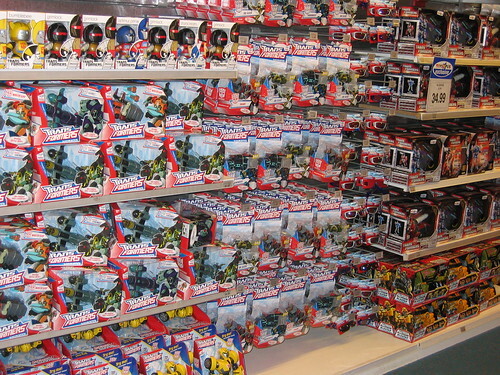 1) Target had to clear their shelves for ROTF stuff, and just waiting to put it out. Yeah but strange for nothing, no unsold activators or anything, and for there to be no clear space for them. Another sighting, in the NY kinokuniya store they had USA Edition Silverbolt for about $70 USD. OMG it's so white! I've seen pictures but I still didn't expect it to be so white! It looks a lot better than Hasbro's grey. Last edited by griffin; 16th May 2009 at 02:24 PM. Saw a ROTF FAB today at a Manhattan Kmart (two of the same figure) for $14. Don't know if they'd sell it because I wasn't interested enough to try (and since their deluxes were $15 I think FABs could probably be bought cheaper elsewhere anyway). No ROTF toys at Kmart Manhattan today but they do have price tags. Realgear for 10.69. Legends for $6.39. Deluxes for the same price as their ani deluxes $14.99. And I was shocked that the Gravity Bots (those are those stand up non-Transforming things right?) were tagged at $17.49, $2.50 USD more than deluxes!? i thought they were spychanger sized? Yeah, I saw someone quote a high price for those Gravity bots on another forum. If I remember correctly, they are a little smaller than Deluxe (I think about G1 Battlecharger size), but I think the high price is because they felt heavy, so maybe the diecast and more expensive shipping (like the Titaniums), makes them more expensive than deluxes. But at that US$ price, those are gonna be like AU$40 here, and I can't see that as being considered good value here, for that size (which is what consumers will see, size not weight, as a determining factor for value). 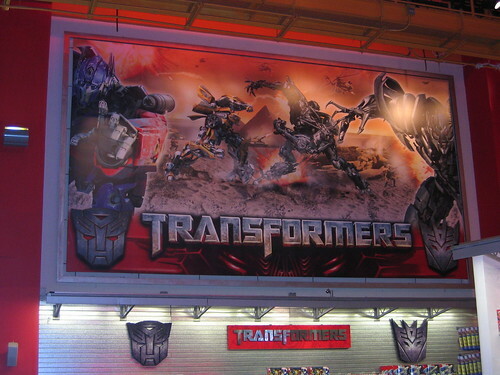 An update to Jaydisc's photos of TRU New York. Here's how it looked last week. Still mainly Animated stuff with some Universe stuff. Found in the US is the Devastator RPMs trackset, and the Deluxe wave with Jolt, Dead End, Blazemaster and Skids/Mudflap Icecream truck, so should be here soon as well.